Welcome to the Dave Thompson Group website! We hope you find this website helpful in discovering all of the possibilities that DTG Homes can provide as your custom, new home builder. We invite you to visit the Dave Thompson Group Homes' offered in our newest subdivision - Prescott of Fishers - located nearby beautiful Geist Reservoir in Fishers, IN. New homes are under development and the lot site map is available online. The Prescott of Fishers New Model Home and Design Center is open and available for personal showings. The Prescott of Fishers New Model Home and Design Center is located at the Northeast corner of 104th street and Florida road in Fishers, IN. 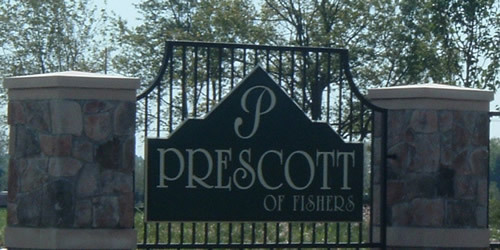 Click here to get driving directions to the Prescott of Fishers New Model Home and Design Center. Please visit all of the areas of the website to learn more about DTG Homes' different floor plans, elevations, standard features, lot site maps, pricing and the many amenities offered by our communities. In addition, please visit the many picture galleries available on the left side of each page to experience and enjoy the exquisite beauty and detailed workmanship of each custom - built Dave Thompson Group Home. By all means, if you have any comments or questions about DTG Homes and our website, please visit the "Contact Us" page and one of our representatives will get back with you immediately to answer all of your questions. Thank you for visiting the Dave Thompson Group Homes website and we look forward to working with you to build the custom home of your dreams.